If you're not already familiar with the concept, hydrophobic compounds are chemicals that not only resist, but actually repel, water and other water-based liquids. That is, technically speaking, incredibly cool. Want to read a paragraph about how cool they are? Or maybe you could just watch a video? NeverWet looked amazing when it launched last year, but there was one little problem: Hydrophobic sprays just aren't durable. The tiniest scratch or contact with even a weak cleaning solvent can ruin their water-repellant properties. What you don't see in promotional videos like the one above is the need to reapply the spray over and over again. What you don't see in promos is the need to reapply hydrophobic sprays over and over again. If only, you might be thinking, there were a way to effortlessly reapply hydrophobic stain proofing to your clothes at regular intervals. Well, as it turns out, there is. 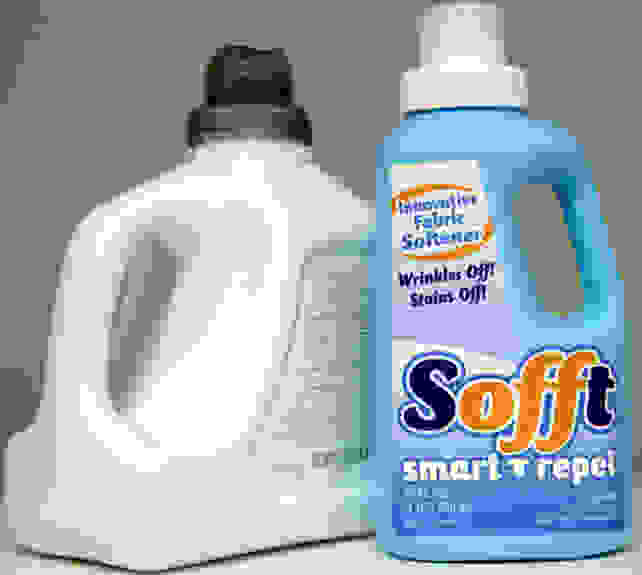 Sofft is a hydrophobic fabric softener dreamed up by an ex-Clorox engineer. When it's added to your normal laundry cycle, it can renew your clothing's stain immunity with every single wash. Or at least that's what the two Ph.Ds behind the project claim. Detergent is already pretty pricey, and a bottle of Sofft is expected to cost $35, so you'd be justified in wondering if this product will be worth the added expense. But Sofft has a rather grand vision of the future of laundry, which it's dubbed "Laundry 2.0." Picture it: Hydrophobic clothing won't absorb sweat and will never smell, so long as the Sofft treatment is still active. That means you'll get twice the mileage out of each article of clothing before you need to wash it. 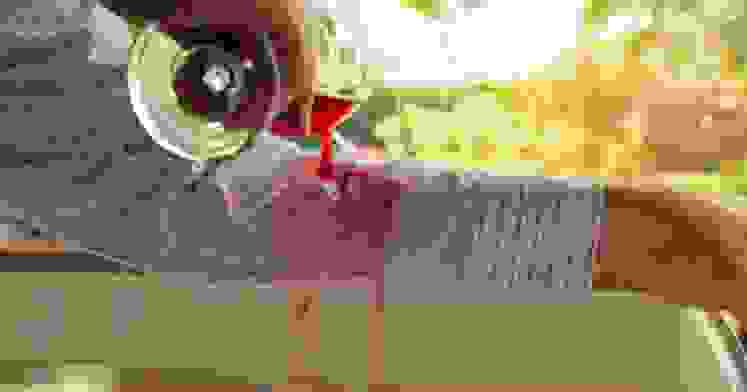 When it does come time to wash, detergent use will be cut by half or more, since there are fewer—if any—stains to remove and you'll be washing less often. There are other benefits, as well. Hot water cycles become optional, lowering your energy costs, and drying times are also reduced since clothes treated with the compound reportedly come out of the wash with 25% less residual moisture. 1. What are the long-term health effects of having this chemical on our bodies? The makers claim it won't irritate sensitive skin, but that doesn't necessarily mean it's safe. 2. How does the treatment affect the feel of clothes? Sofft's inventors say it "works at the fiber level leaving the garment as soft and breathable as the day it was purchased," which sounds just a bit hand-wavy to us. 3. Will it have any effect on the color of clothing? No word on that front. 4. Why hasn't some other company created something similar? Again, no comment, though we can take a stab: It would hurt the sales of detergents, which are soap companies' bread and butter. If you want to experiment on your clothes, you can pledge as little as $35 to get an early taste. Sofft asked for just $25,000 in crowdfunding to bring the product to market, and with two weeks left in its Kickstarter campaign, that goal has already been surpassed. If you want to experiment on your clothes, you can pledge as little as $35 to get an early taste. The company is certainly dreaming big, but if it can make prevention based laundry a reality, it could forever change this ubiquitous chore for the better.